Lowell D. “LD” Spears, 77, of Wilkinson, passed away Wednesday, May 3, 2017, at his residence. 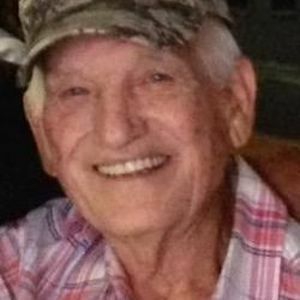 He was born August 20, 1939, in Maple Valley, IN to the late Ernest & Ruby (Phillips) Spears.LD graduated from Knightstown High School in 1957 and retired from Guide Lamp in Anderson. He was an avid sports fan, who loved IU Basketball, Colts Football, and NASCAR. He was also a “diehard” Democrat and a MOPAR Fanatic. In the summer time, he’d generally be seen in his bibs, out in his garage where he loved to tinker. He also loved visiting with friends and family, enjoying a cocktail or two. He is survived by his sister, Carolyn Pierce of Wilkinson; children, Tanya Stromme of Orleans, Shawn Spears of Knightstown, & Kelly (husband, Scotty) Seybert of Shirley; two grandsons, Nick Stromme of Colorado Springs, CO & Thomas Spears of Greenfield; special companion & The World’s best caregiver, Vivian Grizzell of Wilkinson; several nieces and nephews. He was like a father figure to many. He was preceded in death by his wife, Carolyn (Madison) Spears; brothers, Donald Spears of Carrollton, OH & Ronald Frank Spears of Greenfield; and sisters, Jeri Zimmerman & Jean Colip, both of Wilkinson. Memorial Services will be conducted at 1 p.m. Saturday, May 13, at Condo & Son Funeral Home, with visitation from 11 a.m. until time of services. In lieu of flowers, memorial contributions may be made to the American Cancer Society, American Stroke Association, or to the Hancock Health Hospice.